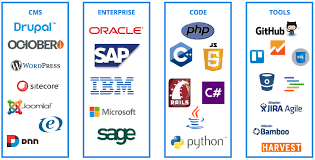 Given the specific needs of its clients operating in different sectors, Global Solutions Consulting, expert in IT consulting offers its specific software development services. Our specific development methodology consists of the first phase to accompany the client in the formulation of his needs, to study the feasibility of his project and to assist him in drawing up the specifications. For the successful realization of the product, the Global Solutions Consulting engineers assigned to the project implement all the predefined and honed processes according to the terms of the specifications. In close collaboration with the client, the project team transfers the developed product by ensuring its smooth operation in the deployment environment and engages in the training of the team Global Solutions Consulting also undertakes to guarantee the after- Sales support and technical support for any type of maintenance. 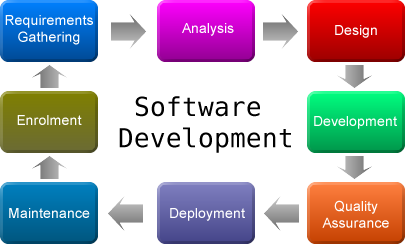 Global Solutions Consulting provides applications development services including all the stages of the software life cycle: from the initial analysis of the business needs to the actual development, support and maintenance. Development services include oracle web center sites, development of customized ATG applications, software developement, components developement and migrations of ATG applications. we assist software developpment plateforms by means of 24/7 support, upgrade, security patch updates, performance optimization, fixing bugs and building additional features.